Hi Mr. Pierson, I think the link refers back to Episode 159, not to 160. Please check. Thank you! The file you have linked to is for Episode 159, not 160. You talked about a divide in between Latin speakers identifying as Lombards and Greek speakers identifying as Romans. Is this the correct description of ethnic identities in Southern Italy at the time? Where did you read about this? – When I say Latin speakers I mean vulgar Latin or proto-Italian, not classical Latin. – And when we say the Greek speakers identified as Roman, that obviously varied between communities and classes. 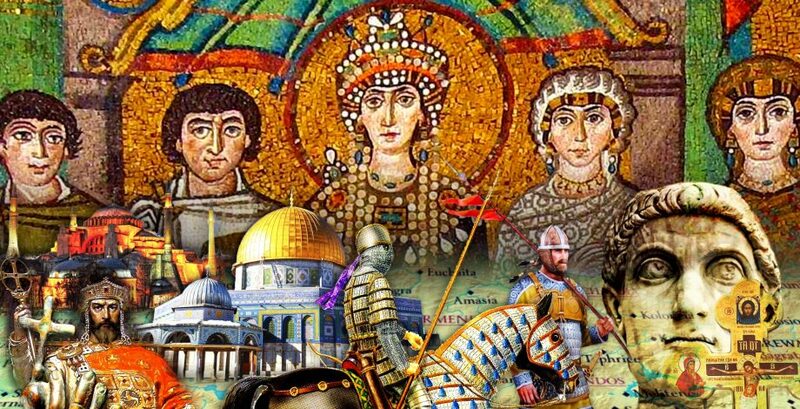 Naturally many people, particularly those without an education, would have little understanding of events in Constantinople. But many of the elites did identify with the Empire and many communities traced their descent from Greece or the Balkans (they fled to Italy under pressure from the Slavs). Please do elaborate on your question. During the History of Rome Podcast, the south of Italy was called Magna Graecia because there were Greek Cities States. After the Pyrrhic Wars the area in the 3rd Century BC the area was annexed by the Roman Republic but from what I understand the area remained Greek throughout the Empire. Therefore it would make since the Southern Italians having a seafaring culture would remain connected to the larger Greek World. Great to see you back! Sounds like you’ve got your work cut out for you with the end of the century wrap up, but I’m looking forward to it. To this day, the legacy of Magna Grecia and Byzantium is somehow surviving in Apulia and Calabria.